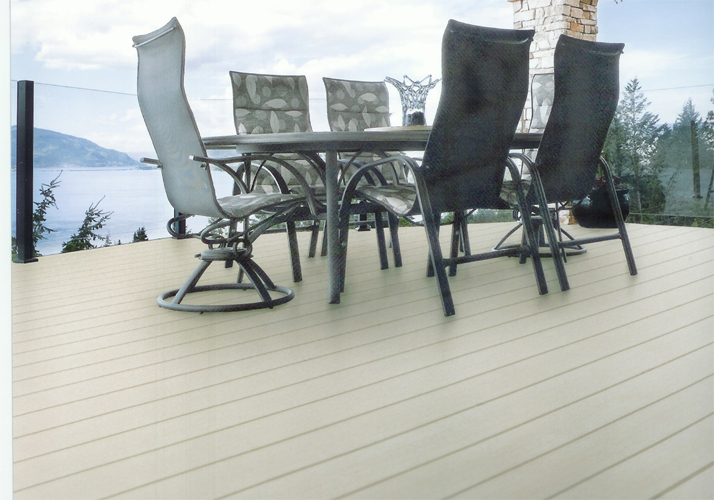 In recent years, many consumers have chosen to interlock composite wood floor for balcony, while the use of wood floor consumer is also increasing. what’s the big advantage of composite wood flooring making it popular ? 1, Composite wood flooring can prevent the moisture into the wood floor occur swell, at the same time will not fade, warping and crack resistant , avoid traditional wood floor disadvantages. 2, The use of interlock composite wood balcony floor, entirely according to you requirements to select product favorite color. 3, Composite wood floor have highly adaptable, which can meet individual needs, so make the floor has a different style. 4, Interlock composite wood floor through pressure treated, surface smooth and can be nails, drilling, planing, sawing, of course composite wood floor can resistance termites and insect. 5, When you decoration your house,tradition wood floor have formaldehyde, not only cause interior air pollution, but also bad for our health, but if you use the interlock composite wood floor for you house and balcony , you will never worry about this problems, Because composite wood floor is environmental friendly product .